Despite having only two organizations on campus, Florida National University’s (FNU) student clubs have a significant influence on the student body. With plans to expand our breadth of student clubs as the university continues to grow, we strongly encourage new and current students to learn more about these organizations and how they can enhance their academic career and personal life. At the forefront of all student affairs, the FNU Student Government Association (FNU-SGA) is a non-profit organization that is the self-governing student entity serving as a liaison between the student body, the faculty, and the administration. FNU-SGA is also a valuable resource for students who are preparing for internships and life after graduation. Working directly with FNU’s Student Services Office, FNU-SGA is a key player in the organization and planning of a variety of student activities, including dances, parties, picnics, fundraisers, and more. Like other student groups, FNU-SGA has a set of bylaws to which it must abide. Comprised of five officers, the Student Government Association operates under a set of rules, regulations, duties and/or responsibilities, which each officer must fulfill in addition to their individual responsibilities. FNU students are responsible for electing their officers/representatives. To ensure all obligations are being fulfilled, the SGA reports directly to The Director of Student Services and/or his/her designee. A detailed description of the goals, objective and guidelines of the SGA can be found here. The roles of the Student Government Association include the FNU SGA President, FNU SGA Vice-President, FNU SGA Secretary, FNU SGA Treasurer and the FNU SGA Representative. All officers must be positive role models for his or her fellow officers as well as the entire student body. Furthermore, officers must exemplify their commitment to hard work and honesty in order to inspire and influence students, faculty and other individuals who work with the organization to fulfill its objectives. A description of each officer’s requirements and responsibilities to meet and maintain can be found here. 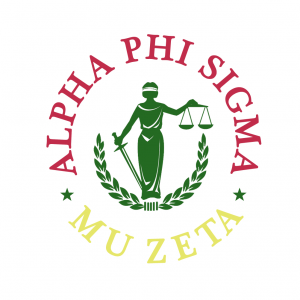 Operating its own chapter of Alpha Phi Sigma, the National Criminal Justice Honor Society, Mu Zeta is designed for undergraduate, graduate and juris doctorate students in the criminal justice field. Channeling the motto, “Combining Justice and Law to Achieve Success,” the Mu Zeta Chapter is a great resource for the professional development of FNU’s criminal justice students. Honoring the four ideals of Alpha Phi Sigma, this chapter stands for Academic Excellence, Leadership, Service and Unity, among its members and students alike. In order to properly support the reach of FNU’s criminal justice programs, the Mu Zeta Chapter is committed to encouraging consistent member participation by holding various events throughout the year. Boasting a vivid history as an organization, affiliation with the Alpha Phi Sigma is more than just an emblem on one’s resume. The inception of Alpha Phi Sigma is attributed to a man named Dr. Vivian Anderson Leonard at Washington State University. Through a meeting with seventeen Police Science Majors, Alpha Phi Sigma became an official organization in 1942. Taking many decades to experience growth, Alpha Phi Sigma gained credible recognition on March 24, 1976 in Dallas, Texas, where the Executive Board of the Academy of Criminal Justice Sciences voted unanimously to designate Alpha Phi Sigma as the National Criminal Justice Honor Society. Through this designation, Alpha Phi Sigma now has over 280 Chapters in the United States. Alpha Phi Sigma is also a member of the Association of College Honor Societies. Information regarding the organization’s bylaws can be found here. Affiliation with the National Criminal Justice Honor Society at FNU requires a number of things. First, prospective members must either be a Criminal Justice, Paralegal or Legal Studies student with a 3.2 GPA or higher. Active membership requires participation in a minimum of two meetings per month, participation in National Conferences and National Association activities. New members will receive a membership certificate from the National Criminal Justice Honor Society, along with a pin, card and a copy of official publications from the National Association. To apply for membership, students must complete a Membership Application Form, a FNU Honor Society Application Form, and a Photo & Press Release Form. Joining a club or organization during college has the ability to enrich one’s college experience. Student clubs not only serve as a professional and personal resource, but also give students the opportunity to make a difference in the lives of others. Seize the opportunity to contribute to your community through FNU’s Student Clubs and Organizations! Interested in starting your own club on campus? 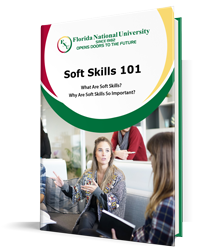 Contact Maria Hoffman, Student Services Officer, by emailing mhoffman@fnu.edu or calling 305-226-9999 ext. 1372.